Serifos ferry port is located in the Aegean Sea in the Western Cyclades group of islands. 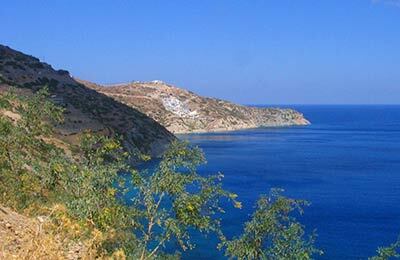 Serifos is a popular holiday destination amongst the Greeks and is not yet too commercialised. Serifos ferry port lies in the Livadi bay on the south east corner of the island. Serifos Ferries sail to Piraeus, Kimolos, Milos and Sifnos. The routes are operated by Aegean Speed Lines and Zante Ferries, you can find your ferry using the simple booking form from AFerry. 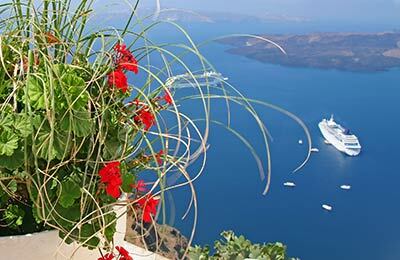 Below, you can find Serifos ferry times, as well as our best deals. Aegean Speed Lines offer a range of coffee and snack bars, a souvenir and gift shop, air conditioned lounge areas, televisions, smoking areas, outside seating areas, Wireless internet connection and disabled access throughout. Aegean Speed Lines and Zante Ferries offer great deals and promotions on Serifos ferries, and you can take advantage of these by booking simply and securely with AFerry. Serifos ferry port lies in the Livadi bay on the south east corner of the island. Serifos is dotted with little restaurants and taverns all over the place although they are more concentrated around the Livadi harbour and in the Chora. Serifos offers an unforgettable experience on whole whether you would like to simply relax or have a fun filled vacation. Serifos is a unique island which captivates your imagination with amazing views of the landscape and the beaches. The villages in Serifos are dominated with neoclassical architecture and windmills; one of the most amazing features of Serifos is the island's Chora (the main town) with beautiful white buildings perched on top of a steep hill. Serifos is rich in Greek culture and heritage which is evident all around the island with sites such as the White Tower, the throne of Cyclop, the vaulted tomb, the stone lighthouse built in 1901, the castle in Hora, the Taksiarhes' Monastery, St. Athanasios' square, the dam and the mines at Livadi.